Dr. Jasdeep Saluja is an experienced Psychiatrist in Sector-4, Gurgaon. He has over 9 years of experience as a Psychiatrist. He has completed MBBS, MD - Psychiatry . 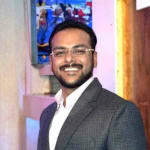 He is currently associated with DR. SALUJA'S FAMILY CLINIC & PATH LAB in Sector-4, Gurgaon. Book an appointment online with Dr. Jasdeep Saluja on Lybrate.com. Find numerous Psychiatrists in India from the comfort of your home on Lybrate.com. You will find Psychiatrists with more than 38 years of experience on Lybrate.com. Find the best Psychiatrists online in Gurgaon. View the profile of medical specialists and their reviews from other patients to make an informed decision. He is a very good doctor.He is very polite,listen to patients problem carefully.Very good in diagnosis and treatment. Hi Doctor, Since morning I am suffering from fever, body ache and cough. Fever is around 101 and getting repeated in 4-5 hours. Have taken Paracip 650 thrice. Headache is also too severe. Just sleeping. Feeling hungry but not able to eat anything properly. Kindly advice. Male 35. Hello, since you have fever and body ache, you should get investigations done. Investigations for complete blood count, dengue, malaria or typhoid. As these diseases are prevalent these days. After the reports, you should take treatment respectively. I lost my friend 6 month ago & that depress me. Can you help what should be done. Hello, I am sorry for your loss. Life becomes hard when you loose your close one. But we need to cope up with the situation. Keeping everything with yourself will increase the burden. You need to talk to people you trust or make new friends even if you don't like it. Try and express your feelings in a way you like. Distract your self to the other activities that you like. You need to support yourself. It will take time but you will come over it. All the best. I lost my close friend last year and since then feel very depressed and prefer keeping to myself all the time. Please help me. Hello, I am sorry for your loss. Life becomes hard when you loose your close one. But we need to cope up with the situation. Keeping everything with yourself will increase the burden. You need to talk to people you trust or make new friends even if you don't like it. Try and express your feelings in a way you like. Distract your self to the other activities that you like. You have a great life ahead, you have studies and a career to take care. It will take time but you will come over it. Seems my wife suffering from depression. She gets angry every time on me and kids. Don't like to keep relationship with in laws. Like to be biased towards her family, don't like to focus on work as housewife. Hello, sometimes people get stressed with their life and they don't know how to overcome the stress. They need support from their family members. You need to make sure that you don't get angry at your wife. Try and talk to her in a polite way. She might not want to talk to you about the problems, but she will eventually talk to you. Take out time everyday to ask about her day and the problems she faced today. Over a period of time you will see improvement in her aggression. I am 65 years, male .I am suffering from anxiety, depression ,I am using clonazepam .5 for the last 4 years as per psychologist. Still the problem persists. What should I do now. Hello lybrate-user. Clonazepam is not the solution for anxiety and depression. It only provides temporary relief that too for short span of time after which it is inefficient. You need to find the problem that causes anxiety and try to solve it.